Roxana of SpanglishBaby.com has posted her second Video Blog (Vlog) about language learning with Little Pim. If you’re new to this Vlog series, Roxana is using Little Pim to introduce French to her daughter Vanessa, four years old, who is already bilingual in Spanish and English. Roxana has been doing Skype interviews with me to get tips on making it fun for her daughter to learn French and learning about resources for her to use as a parent who is not fluent in the language her daughter is learning. This week she talks about some of the hurdles she is facing in trying to incorporate French into their daily routine. It's not as easy as she thought it would be! At the end of the video Roxana’s daughter and I sign a French song together so be sure to watch the whole video. Vanessa est adorable! 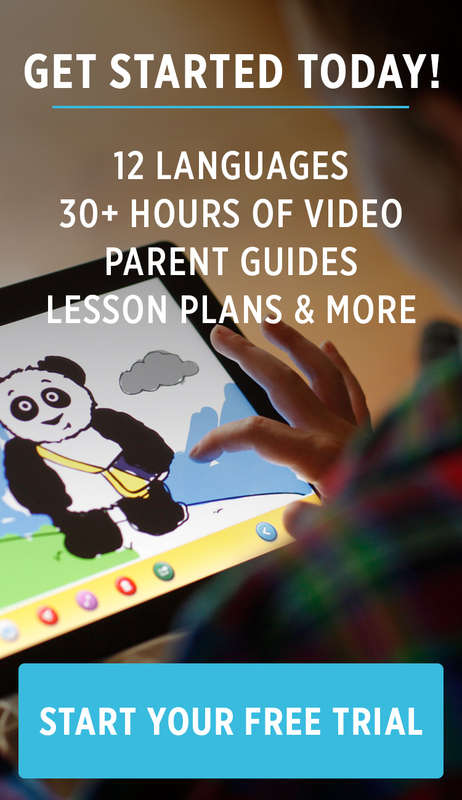 Are you teaching your child a second or third language?